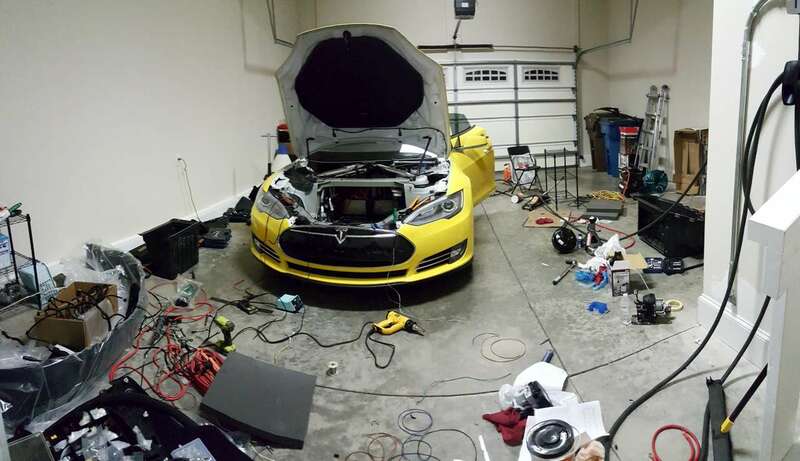 Jason Hughes - the man behind building a storage unit from two and a quarter salvaged Model S 85kWh battery packs for his off grid solar system, finding a hint of 100kWh Model S version in Tesla's software updates and double summon - is back with a new hack: installing Autopilot in his wife's 2014 Model S P85. Her Model S came without Autopilot hardware. 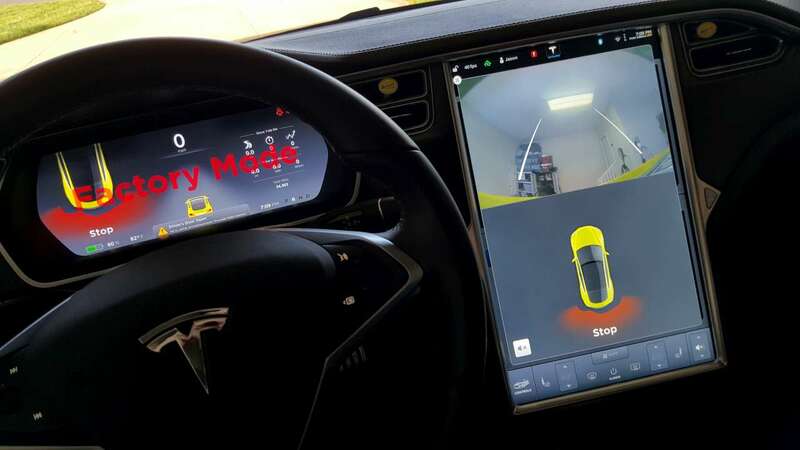 Since October 2014, Tesla has been installing them to every Model S they produce which includes a forward looking camera, radar, and 360 degree sonar sensors. 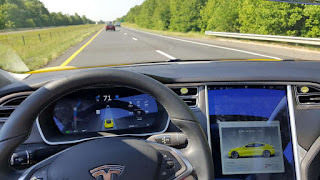 Pre-ordering Autopilot now costs $2,500, while activating it after purchase sets you back $3,000. After 50 hours of hard labor spread over a week (excluding planning hours), Hughes compared the wirings diagrams between his wife's P85 and his own P85D, then made custom wiring harnesses while tracking down some of the oddball connectors and parts needed, either by buying from Tesla directly of from salvaged channels, in order to complete this operation. Now his wife is "the proud owner of the very first 'classic' Model S to be retrofitted with full autopilot hardware." "Replaced the steering control stalks, steering wheel buttons, instrument cluster, brake booster, ABS/ESP (traction control module), all four wheel speed sensors, windshield, rear view mirror, parking sensor ECU, all of the parking sensors and parking sensor wiring, the entire rear bumper cover, and thermal controller module. Added the front radar and all related mounting, the forward camera assembly. I also modified the front bumper cover and wheel arch liners to accommodate the new ultrasonic sensors." summarizing his list of modifications. "How much did it cost? Well, not counting my own labor, all together the project cost less than $9,000. That includes costs for parts from Tesla and salvage vehicles, along with getting the windshield installed, the rear bumper cover painted and re-wrapped yellow." he added requesting people not to expect this to open the floodgates to start retrofitting autopilot on to older Model S. "This was a pretty crazy project to take on, and honestly I’m not going to do it again." 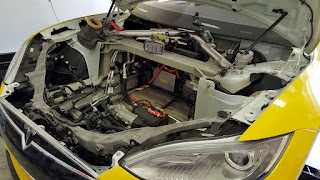 Fortunately none of the major components like motor or battery needed to be changed or modified however it is unknown how Tesla would react on the warranty in case the car needs to be serviced. As a live proof, you can watch his wife's modified P85 perform perpendicular Autopark. How did you get the software upgraded? Did you unlock it yourself? Great work ! - wonder how the cost of the retro compares with the pre-order ? Benfrank3: He's a Hacker. He die hack the entire Tesla software system a few months ago and can change whatever setting he likes. 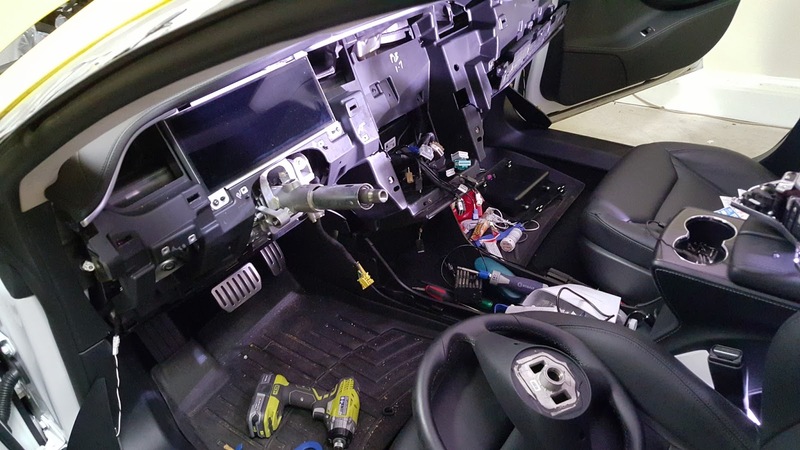 Also, in the article it says, that hi did exchange the center console, probably for one that has the right software on it. night timer: as it says in the article: 2500 to order it, or 3000 to activate it later. He spent 9000 plus labour. That's really cool! Also goes to show why Tesla said it'd be many labor hours and loads of parts swapped. Turns out they weren't just trying to sell repeat cars as some suggested.